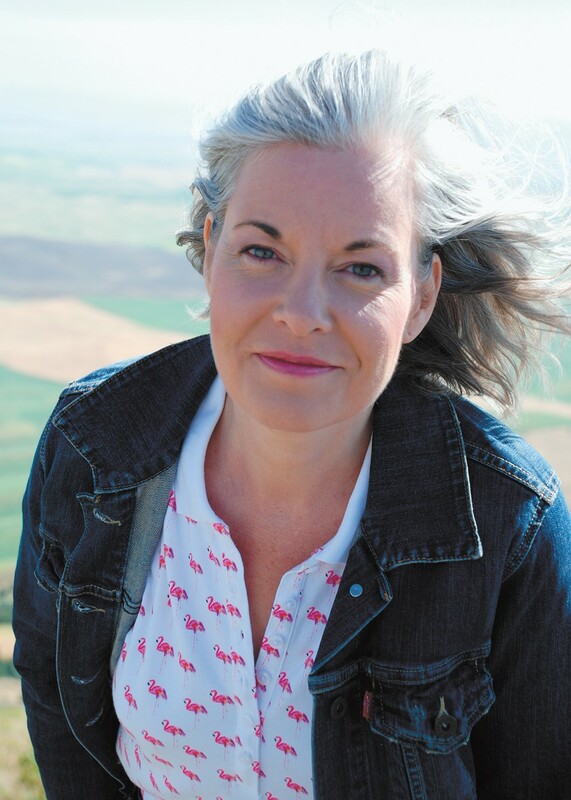 Katherine Nelson finds inspiration on the Palouse. "Drawing the Palouse is a quest to express the obvious and implied human connections within a unique place formed by nature and agriculture," Nelson writes in the artist's statement for the Art Spirit Gallery's July exhibition of her charcoal drawings alongside Jerri Lisk, Mark Lisk and Al Swanson. "After thousands of field observations, I have developed an admiration for farmers and agrarian fortitude. I see my work aligned with the work I observe, and think that sowing seeds of grain to nurture our bodies is analogous to developing artistic imagery for visual nourishment." Nelson's affinity for the Palouse began in 2001, when she relocated to Eastern Washington with her husband and two young sons. Early pieces, which she exhibited at the Art Spirit in 2005, ranged from still lifes to ravens, and from Oregon Coast scenes to rolling fields and broken fences amidst farmlands. By 2007, Nelson was featured in an Art Spirit exhibition entitled The Circle in the Center and Beyond. It conveyed the Palouse through graphic elements of design — light, value, pattern, shape, line — from ribbons of roads to the upswell of morning mist over the land. "Charcoal is a perfectly suited medium for expressing the undulating Palouse fields and farmsteads," Nelson says in an interview from her home in Washington, D.C. "I love charcoal because it is fluid, forgiving, mysterious and strong. I draw by layering dark velvety values and build textures that are obtained through an additive and subtractive process using a variety of charcoals, pastels, blenders, brushes and erasers." Indeed, drawings like The Granary and Palouse Colony Aerial View convey a sense of floating over the land, which ripples beneath the viewer in stunning black-and-white. Other pieces, like Morning Light, return to the elongated horizontal format Nelson developed for a 2008 Chase Gallery exhibit. When her husband was reassigned to Brussels, Belgium, Nelson improvised a size and drawing format she could fit into the airplane's overhead bin on her return trip to Spokane. Nelson experimented with the elongated format in a vertical composition, which also led to one of her largest artworks to date. Ideas About Infinity is comprised of 18 vertical panels based on her extensive visits to Steptoe Butte and measures more than 3 feet high and nearly 9 feet wide. For the mural, Nelson printed her drawings onto sheer fabric overlaid onto opaque fabric. The layers, she says, are about taking a closer look at things. "Looking deeper affords us a more meaningful connection with others, especially when it comes to the people who grow and sustain our food and heritage." The panels also suggest relationships, such as those Nelson developed while immersing herself in the grain community during Palouse visits from the East Coast, where she relocated in 2012. During one such visit she was introduced Tom Schierman, a St. John-area farmer and photographer who helped Nelson in her quest for Palouse vistas. He also introduced her to his cousin, Don Scheuerman, who co-founded Palouse Heritage — they grow ancient or landrace grains on their Palouse Colony Farm — in Endicott, Washington, with his brother, Richard Scheuerman. Nelson has visited many private Palouse farms, talked with farmers, attended numerous grain-related events, including the Cascadia Grains Conference and the Grain Gathering, an annual event led by Washington State University to unite producers, consumers and anyone interested in grain. The original print version of this article was headlined "Weaving Wheat Into the Bigger Picture"